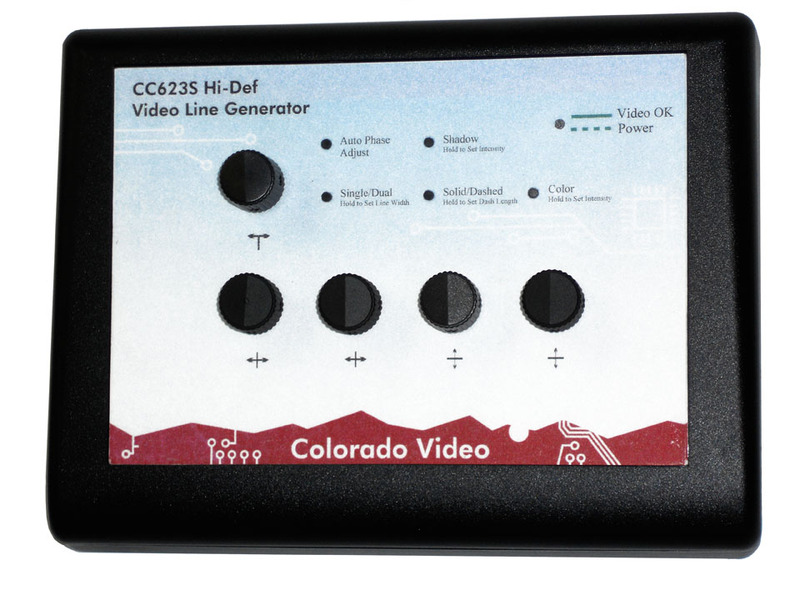 Colorado Video's Model 620 Series High Definition HD Video Line Generator can superimpose or overlay up to two horizontal and two vertical lines onto a real-time video signal. 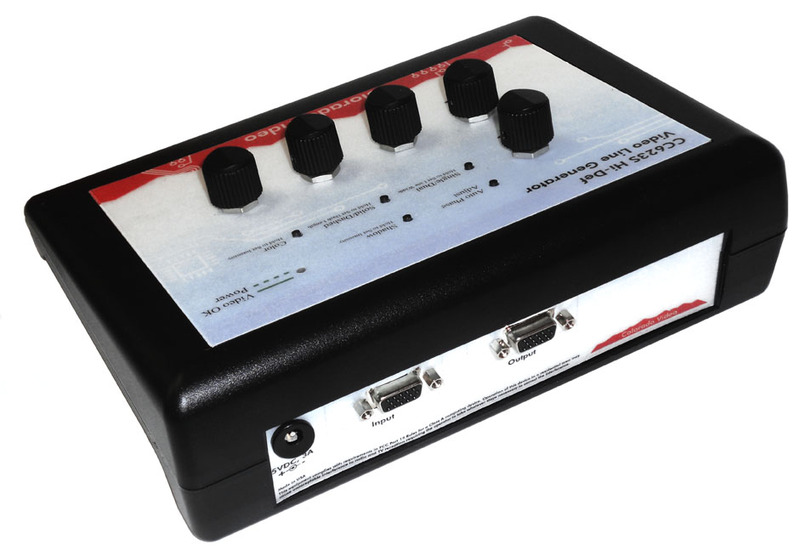 The user can adjust the position of all lines by means of front panel controls. The user can also set the overlayed lines to a variety of colors or Off, and choose between dashed or solid lines. Lines can be shadowed to improve their visibility and their thickness can be adjusted over a wide range.